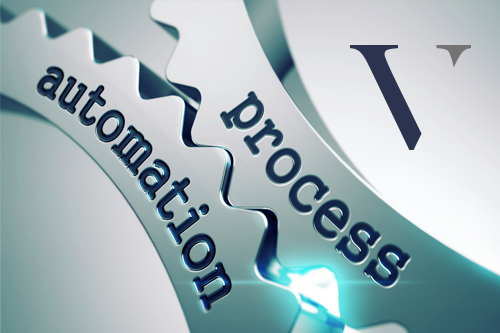 Business Process Automation - VERVE Professional Services, Inc.
Business Process Automation (BPA) is the business strategy organizations deploy to reduce costs and gain operating efficiencies. Typically, BPA efforts are enacted when business is growing. While it’s great that sales are increasing, adding additional personnel to handle the extra workload can decrease profit margins and create numerous inefficiencies. BPA efforts may also be researched when your company is required to cut costs. The right solution can reduce your head count and remove redundancies without reducing quality. Finding ways to process business-critical transactions with fewer people, while retaining high customer satisfaction rates, is a difficult task for organizations. Selecting which processes to automate can be challenging. Strategic and operating drivers in their organizations and industries are a starting point. Processes that are manually intensive, error-prone and redundant or that can be accelerated with automation are initial targets. Business process automation software can consolidate individual or manual processes across your business into one comprehensive solution. Many businesses have a variety of software applications. This can be the result of a merger or acquisition, or because new technology has been incorporated into certain segments of your business. Some businesses attempt to use a unique connector to integrate each pair of applications, but this is simply not scalable. The right solution will integrate business-critical applications, whether they are new applications, legacy applications, or cloud-based solutions. If you need to comply with regulations like Sarbanes-Oxley, PCI, or HIPAA, and you have not implemented a scalable BPA solution, a management consultancy, such as VERVE, can help make your company compatible with the required security regulations—all while creating one overarching solution. Process automation is not simply a technology issue; it requires a fundamental organizational change. It may be necessary to change the culture of your organization if your current infrastructure tends to constrain scalable automation efforts. Businesses that do not realize this fact with likely fail in their efforts to create one cohesive solution in a timely manner. VERVE can help grow your business with reduced resources as well as help you cut costs, reduce errors, and ensure that a comprehensive scalable solution is delivered.